Beer and Sweat 2016 Big Sample Sponsor! Bottle Level Sponsor! Various Brewery Cleaners & Sanitizers! A great gift basket w/ gift cards, t-shirts & more! BOTTLE LEVEL SPONSOR! Red Ale Extract w Grains kit! 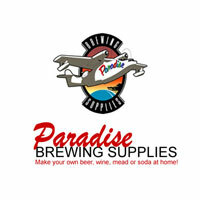 Growler Level Sponsor! BIAB Kit & an Extract Kit! Carboy Level!!! Some great Rogue swag for the raffle! Carboy Level Sponsor! White Labs Yeast certificates & other swag for the raffle! Bottle Level Sponsor – some Warped Wing swag for the raffle! Bottle Level Sponsor – some Toxic swag for the raffle! LemonGrenade provided us with some really great graphic design work for Beer & Sweat 2016! Thanks!!! Bottle Level Sponsor : T-Shirts for the raffle! Growler Level Sponsor! and…. Brewing the 1st place winner of the new Cask Ale category! Carboy Level Sponsor! Malt and other raffle swag! Barrel Level Sponsor!!! Tons of great Moerlein swag & gift cards for the raffle! BOTTLE LEVEL SPONSOR! One Year Subscription to BYO!